In June 2016, almost three years ago, 17 million citizens of the United Kingdom voted to exit the European Union — more than have ever voted for anything or anyone in British history. And yet, from the first hours after these votes were cast, Brexit opponents and EU apologists began to undermine the clearly-expressed will of the British electorate. Among the most galling of these attempts to sabotage British democracy have been calls for a “People's Vote” on whether to cancel Brexit — as if the “people” had not already been heard from! Sadly, it appears that the insidious forces trying to block Brexit may be on the cusp of winning their long struggle to keep Britain shackled to the EU. Why? Because Prime Minister Theresa May has lost two parliamentary votes on her own plan for Brexit, and she will likely lose a third. After that happens, she has promised to seek a long extension of the deadline for Brexit from EU authorities. They are poised to grant it. Parliament's unwillingness to endorse not only May's Brexit plan, but any other realistic plan to leave the EU, therefore means additional months and possibly years of wrangling, giving anti-Brexit forces even more time to organize roadblocks. The chances are thus rising that Brexit will never happen. Brexit will have died a death of a thousand cuts, and elite politicians surely will not mourn. The most disturbing part of this story is the seemingly disingenuous role played by Theresa May herself. May took on the daunting and utterly thankless task of trying to shepherd an anti-Brexit Parliament towards the confirmation of a realistic path to Britain's departure from the EU. 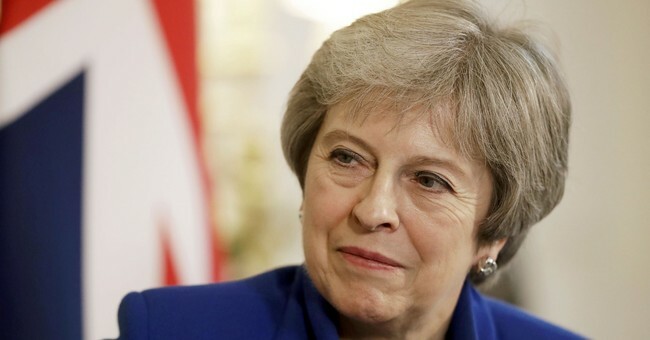 She negotiated a plan for Brexit with EU leaders that fully satisfied no one, but would at least have honored the will of the British people and substantially bolstered the sovereignty of the United Kingdom. For all this she deserves praise. May was, however, lest we forget, an opponent of Brexit in 2016. While she took up the mantle thereafter of implementing Brexit, she never took off the table various escape routes that members of Parliament could utilize to avoid backing her own imperfect plan. May essentially said to Parliament, “Here is my plan. Vote for it, if you like, but if not we'll come up with something else. Or maybe we'll have a no-deal Brexit. Or maybe we'll seek an extension. Who knows.” In other words, she never used the extraordinary leverage that her position as Prime Minister conveys. More importantly, she never used the critical leverage of Britain's scheduled and legally binding departure date of March 29th. What do I mean by this? May could have given Parliament a simple binary choice: “Vote for my plan, or we'll be forced into a no-deal Brexit when the deadline strikes.” She thus could have ruled out another referendum, another plan, and any extension of the deadline. She could have convincingly argued that any of these other options would either be impractical, given the limited time available, or they would represent an unconscionable betrayal of the will of the British people. She could have done that, but she chose not to. She chose instead to ask politely for Parliament to back her plan — and not surprisingly Parliament, confused about its alternatives, declined. One has to wonder, frankly, whether May anticipated this reaction all along. Did she want Parliament to refuse to back her plan, so that Brexit could be put indefinitely on the political back burner, but she could still say that she gave it her best shot? Only she can answer such a question, but increasingly her credibility and her integrity are in doubt, along with her competence. Britain thus finds itself in one of the greatest democratic quagmires of the modern age. Of course, anti-Brexit forces will not care. For them, blocking Brexit has always been more important than honoring the decisions of the electorate. The sad part is that these obstructionists look increasingly likely to get their pernicious way — and in one of the world's oldest and greatest democracies, no less. And, if Britain can't respect the will of its people, what does that portend for American voters who dare to defy the judgment of their self-satisfied elites? Nothing good.